It’s been a year since I’ve been a work at home mom! Even though my little one is 14 months, we didn’t make the decision until he was a few months old for me to stay at home. While it was a dream that I had to be at home with him, financially I didn’t think it was possible. After a lot of prayer and discussion, we decided that me staying at home was the best decision for our family. 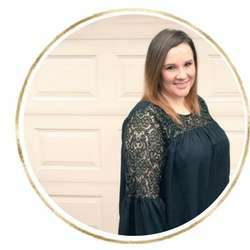 I knew from the beginning that I would need to bring in some sort of an income to make up for the difference, that or my husband would need to get a part time job. We have been blessed in the fact that I have been able to make an income and stay at home with our little one. 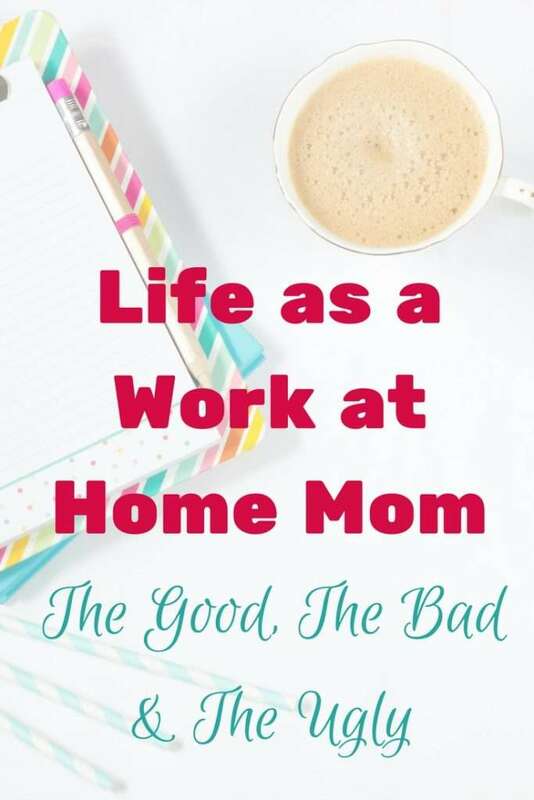 I know that staying at home or working at home isn’t for everyone and I 100% respect that, but today’s post is for those moms who are considering becoming work at home moms. I’m laying it all out there for you: the good, the bad and the ugly. At the top of my list is the fact that I am here for my little one, all day, everyday. I get to be there for nap time, meal time, ‘firsts’, etc. No commute! At my previous job, the drive to work took me 45 minutes each way. Honestly, I am making more money than I was at my previous job. At first, it doesn’t look that way-but when you factor in the cost of daycare, the wear and tear on my car, a professional wardrobe, etc. it does make more sense financially for our family. I am able to contribute to our family financially and do a job that I love to do, all while caring for our son. When we decide to have more children, the stress of worrying about the financial strain will be minimal. Sure, there will be increase diaper and food cost, but we won’t have to worry about where the additional $600 a month will come from for child care. I am able to have dinner on the table when my husband gets home from work (most nights), and take care of our household better than I would if I were working outside of the home. I know for some moms, this isn’t an issue-but at my last job, with the commute and the hours-it would be nearly impossible for me to get it all done. I can go to the bank, schedule doctor appointments, grocery shop, etc. during the day while most people are at work. The added flexibility of being a work at home mom is wonderful! My blog. I would have never started this blog if I was working outside of the home. It wasn’t something I had time for. However, over the past year blogging has given me some amazing opportunities and I am so grateful each day for this blog and the opportunity to share my life with my readers. Having a toddler running around can be a bit distracting at times. While I feel like I’ve gotten us in a good routine, some days that routine flies out the window and we sit and play ball for 2 hours. Sometimes I miss adult interaction, but thankfully I talk to adults daily with the work that I do and that helps a bit with the ‘cabin fever’. For me, this isn’t really an issue, but for some moms who stay at home or work at home, the stigma that is attached really bothers them. The questions of “what exactly do you do?”, etc. bothers some moms. For me, I really don’t let it bother me. Some days, ok, a lot of days-I stay in yoga pants, a t-shirt and my hair doesn’t get washed. I feel sorry for our UPS man that has to see me like that a few times a week. While I do make an effort to put on a bit of make up and get dressed, most days it doesn’t make sense because I end up with milk or apple sauce in my hair and all over my clothes. I do feel pressure sometimes (from myself) to be a perfect homemaker. I don’t always have it all done- my laundry still piles up and we eat take out for dinner sometimes. I’m learning slowly to let go of that pressure though and remember that I do still work, even if it is from home. As you can see, the ‘good’ outweighs the ‘bad and ugly’ for our family. It’s hard to believe it’s been a year since we’ve made this transition for our family. It has certainly been a learning curve, but I am enjoying it so much! Are you considering transitioning to being a work at home mom? If so, what questions do you have for me? I love being a stay at home mom and I have no desire to go back to my old job because of the commute (1,5 hours one way). But sometimes I feel guilty for spending so much time on the blog. Even though I know that I would be away from my kids so much more if I went back to work. It’s so typical of moms, to feel guilty all the time. Do you ever feel like this? I agree with you! I completely understand and feel the same way sometimes, however-I try to work during naps or when my husband is home in the evening so that my little one is getting interaction. I do have to remind myself: he is the reason I am doing this and I want him to grow up seeing a strong mom who works hard. I so know what you mean! I finally started making so money and the cost of daycare for toddlers is much less than infants. We settled on a two days at day care for her so I can beast out some work and she gets some major play time. Then on her off days I do housework while shes awake and blog at nap time. On her daycare days I work at a coffee house just to get out and see other actual adults lol! And I now have a cute little office set up at home for the few hours a day I squeeze in on days she’s with me… I finally feel like we have a groove… but we also feel like baby numbew two may be around the corner… which will bring that all to a hault again! Lol hopefully we’ll be better this time around at setting up a routine. That sounds like a great solution! I love working from coffee houses too-helps so much! It sounds like you are doing a great job! Thank you for your insight. I’d love to have the opportunity to dip a toe into the working from home lifestyle, but unfortunately my line of work doesn’t allow it. I’m hopeful that, in time, I can progress into my dream career path that would let me work from home! Although two of my three kids are in school already, it’d be great to have more flexibility to volunteer at their school and free up more time for after school activities. Balancing spending time with my kiddo and blogging is something that I am just starting to try to figure out right now. My little one is at the age where he isn’t old enough for school, but (generally) doesn’t take naps anymore. He also wants constant attention, which makes concentrating on blogging difficult. Any tips for a newbie? Balancing is a difficult job! It’s really tough when they demand so much attention. I would recommend maybe setting a specific time frame of quiet time each day where you can get work done and he can color, etc. this seems to help us!